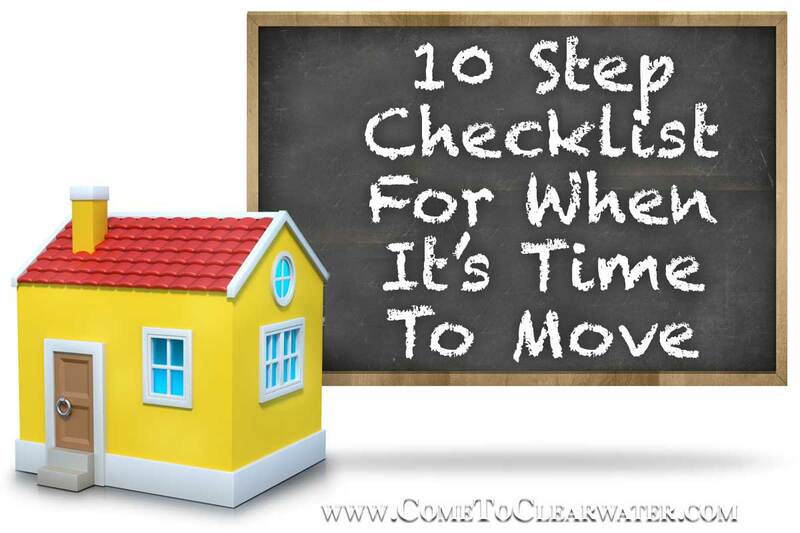 You sold your home and now it’s time to move. There’s lots to do and not a lot of time to do it. Having a checklist with a timeline would be helpful. So here is one that could help. Call moving companies and get quotes for your move. Check things like Better Business Bureau and whether they are bonded and do in home assessments before offering their quote. Check into whether your homeowners insurance will insure your expensive items. It not, find out how to insure them. This means go through everything: closets, old boxes, basement, attic, etc. and decide what is moving and what is being trashed or donated. Use up food and supplies and only replace exactly what you need. Make a list, and document it with video on your cell phone, of your household items and their condition. It could come in handy if things are damaged in the move, or if you have a dispute with the moving company. Don’t expect it, but better safe than sorry. In your moving notebook, be sure to keep a folder for receipts. Moving expenses are tax deductible. Also, if you have kids, call their current schools for records and their future schools for what is necessary to register your kids. Check with the movers to verify details. Call and make arrangements to disconnect utilities at your current home. Call to schedule connections at your new home. Start packing. Pack items that you won’t need for the next month. Mark boxes as to where they should go in the new house and keep a list of what is in each box. Go online to the U.S. Post Office and file a change of address. Check about banking. If your bank has branches in your new town, let them know about the move. If not, look into switching your banking to a new one. Give your new address to friends and family, insurance company, doctors and specialists, cell phone company, credit card companies, and magazine and newspaper subscriptions. Make sure your important papers file is up to date and with you. Don’t pack it. Same with valuables like jewelry. Pack up everything you don’t need for the next week. Again, keep a list of what is in boxes and label them. Dispose of paint, oil, and weed killers. Drain fuel out of mowers. Discard propane tanks from grills. Gather keys and garage openers, any alarm codes and put them in one place so you can give them to the new owners. Make a moving day survival kit with everything you’ll need when you get to your new home. Include toilet paper, snacks, bottled water, dishes, toiletries, towels, a few days’ worth of clothes. It’s possible that the movers could be delayed so you don’t want to be caught with nothing in your new home. Grab your moving day kit. Clean your now empty old home. Before you leave it for the last time, check to be sure you have things like your cell phone and if you have pets pack food for them for a few days. Go to settlement.